Another personal favourite picture of Peter Jöback. Although Peter sings mainly in Swedish these days, he has recorded three English albums in the past and will still occasionally sing in English. The albums are “Only When I Breathe” (2000), “I Feel Good And I’m Worth It” (2002) and “Storybook” (2004). I have included a few clips of some of his English songs as an introduction for those who prefer their music in English. It’s hard to believe that it’s been eleven years since my friend Gustav introduced me to the stunning debut album Treat Me Fair from the beautiful Tina Stenberg. I fell in love with the album straight away. I loved the warmth and intimacy of the music and the pureness of Tina’s voice. Tina had written all the songs herself and had a real flair for writing meaningful lyrics. Gustav and I were lucky enough to see Tina perform the album live at the Stockholm Water Festival. We even met her afterwards and found her to be a very down-to-earth and genuine person. 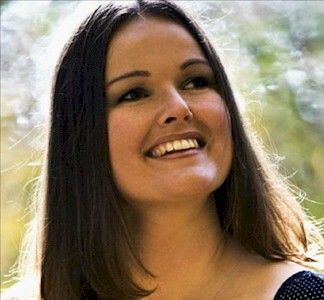 Tina was discovered by Stig Anderson, ABBA’s former manager and he quickly recognised her singing and songwriting talent. He signed her up and was preparing to launch her as a major artist. Sadly, Stig passed away in September 1997 and any momentum was lost. Tina released a second album Still Pretty Nice in 2004. Unfortunately, the record company went bankrupt not long after and the album went unnoticed. Tina has had a run of bad luck career-wise and it has been criminal that such a talent has lay hidden away. Hopefully, this is about to change. Recently, I had been drawn back to the album that started it all, Treat Me Fair. It has been on my playlist over the last couple of months and as well as enjoying the music and reliving my time in Sweden in 1997, I felt sad that we had no music from Tina. Imagine my surprise and joy when I got an email from a very excited Gustav to say that a new single and album are being released imminently. The single is called “Now That You’re Gone” and is a beautiful ballad that recalls the warmth of the first album. It comes out on 24 November (only two weeks away) and can be heard at Tina’s MySpace page. I’m exhausted. I was awake at 4am this morning (Sydney time) and the emails were starting to flood in about the Stockholm premiere of the new Mamma Mia! movie. We had managed to get the inside information ahead of time that all four members of ABBA were going to attend and, unlike previous times, would actually pose for photographs together. So I started surfing the net getting the photos and watching the videos. It was better than we could have expected. You could pick up that there was a great atmosphere at the cinema. Mariatorget is usually a fairly quiet square on Södermalm, just south of Stockholm. Summer evenings are leisurely as the locals play bowls and walk their dogs. But not last night. The square was packed with journalists, ABBA fans and movie star spotters. An army band was playing an ABBA medley as bombastic as army bands tend to be. Meryl Streep was there on the red carpet when Frida and Agnetha suddenly appeared. There were screams as the three acted like old girl friends. There were hugs, kisses, lots of laughter and even an impromptu dance around on the red carpet. Then they headed inside, Frida making sure that Agnetha was OK by taking her hand. A touching moment. Not long after, it was time for the balcony appearance with the ABBA members together with the movie cast. It looked like one of those royal appearances that the British royal family are so fond of doing, appearing before their subjects with lots of waves and smiles. Frida even danced again and Agnetha put her hand on her shoulder. What has meant the most to me about this is that it has been Frida and Agnetha in the spotlight and getting the acknowledgment. I have really not felt comfortable with how, since the many ABBA revivals over the years, it’s been all about Björn and Benny. For me, ABBA was always mainly been about the women. To be fair, it was probably how the women wanted it but it still didn’t sit right with me. That was all changed last night. Up on the balcony, it was Frida and Agnetha in the centre, flanked by the actors. Björn and Benny were at either end of the balcony, out of the way and letting the women get the attention. I don’t really know how I feel at this moment. I have been an ABBA fan since 1976 when I received the “Best of ABBA” LP for my 16th birthday. ABBA has been a major part of my life since I got involved in organised fandom. I have met many friends and even some lovers because of ABBA so there are a lot of good memories there but at the same time a lot of bad ones too including being the subject of possible legal action twice. Over the last couple of years, I have found myself drifting away from being an ABBA fan. I still like the music even if I don’t play it that much (I’m more likely to listen to the solo material). I have realised that the members of ABBA are not necessarily nice people although they are incredibly talented. It has also been a case of familiarity breeding contempt. The more of a fan one becomes, the more you want to know and get involved, the more you get to see the negative side. It just stopped being fun. I’m not feeling any emotional extremes but I do feel pleased. I’m pleased that ABBA finally got off their high horses and agreed to appear together in public (the last time was 1986). I’m pleased that they are all having a great time and having fun. I’m pleased that they appear to be enjoying each other’s company. I’m pleased that they all are looking good, especially Frida and Agnetha. I’m pleased that there are lots of great photos and video moments. 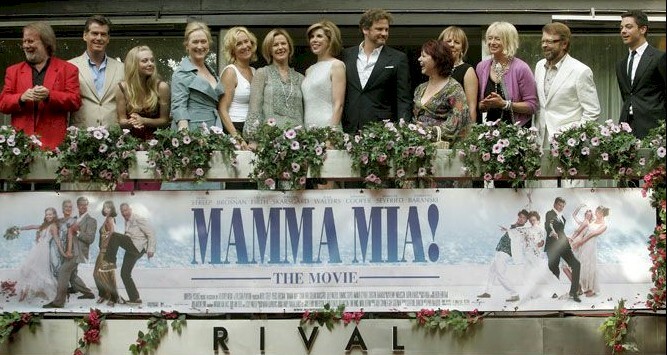 Benny recently said that he considered the Mamma Mia! movie the end of the ABBA franchise. It seems to have all come full circle and having all four members together one more time is a testament to their career, their fans and their legacy. I see it as their way of tying up the loose ends and finally saying that they are no longer a group but what a great group they were. 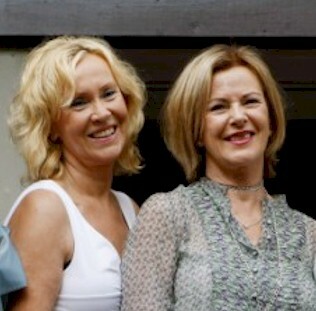 ABBA never officially broke up although they haven’t recorded together since 1982. I see this reunion as a way of bringing closure to Frida, Agnetha, Björn and Benny themselves as well as their fans. I feel complete. Pet Shop Boys + Ballet = ?